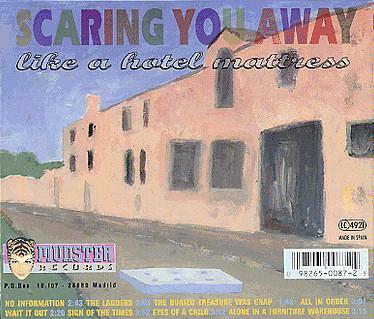 Alone In A Furniture Warehouse Scaring You Away Like A Hotel Mattress is a 10" EP (and CD) that was released by Spain's Munster Records in the last couple of years of the Fastbacks (more HERE) career. I've only recently begun to appreciate how the band stayed solid right to the end, and this 10" is fine proof of their perserverance. What do you think of the late-period Fastbacks releases, like this one,? Let us know in the COMMENTS section! Does this mean you're going for the "Zucker"? loving all the fastbacks posts, thank you muchly sir! 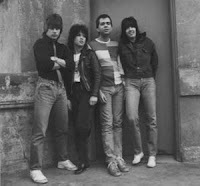 Glad to keep spreading the word of The Fastbacks! Thank you so much for this post. 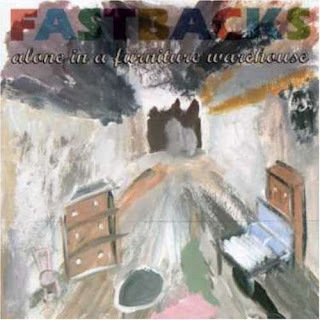 The Fastbacks are always so amazing. Their authentic urban vibe has always been so fascinating.